This fall has been a fast one for the CGC Swim Academy, as many personal bests were set at Age Group Development and Nova Tech Swim Meets. CGCSA swimmers — Cora Johnson, Senali Jayawarna, Jessica Liu, Matea Bagnell, Zoe Boudreau, Norah Devenney and Isabelle McKenna — competed in the Age Group Development Meet Fall Series #1 at Dalplex on October 13th and 14th, and achieved multiple best times. All but Senali, who is new to the Year Round Swim Team, are CGCSA Summer Swim Team members and this was their first age group meet of the year. Click here to see the team’s results. Congratulations to all CGCSA swimmers! Ewa Gawlik isn’t showing signs of slowing down anytime soon. As a dedicated and passionate masters swimmer, Ewa continues to set records in the 70-75 age group. 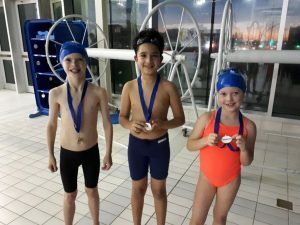 At the most Halifax Chronos Masters Swim Meet at Centennial Pool on October 27th, Ewa set new records and took gold in the 100 Breaststroke, 50 Breaststroke, 50 Backstroke, and 50 Butterfly. Though she competes in all strokes, she has a particular affinity for Butterfly — arguably one of the hardest and most exhausting strokes to perform. Also competing at the meet for CGC, were Laura Ankcorn and June Jorgensen. 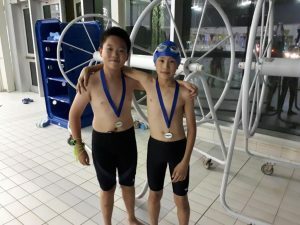 Laura took home the gold in the 100m Freestyle and silver in the 50m Butterfly in the 35-40 age group, while June raced her way to a gold, silver and bronze in the 100m Freestyle, 50m Backstroke and 50m Freestyle respectively in the 45-49 age group. 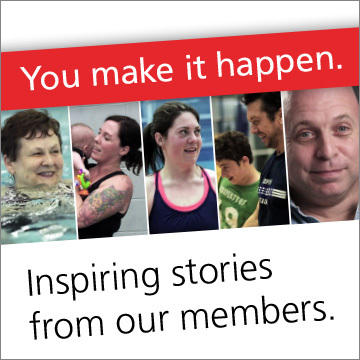 Full results are available on the Swim Nova Scotia website. Way to go Ewa, Laura and June!